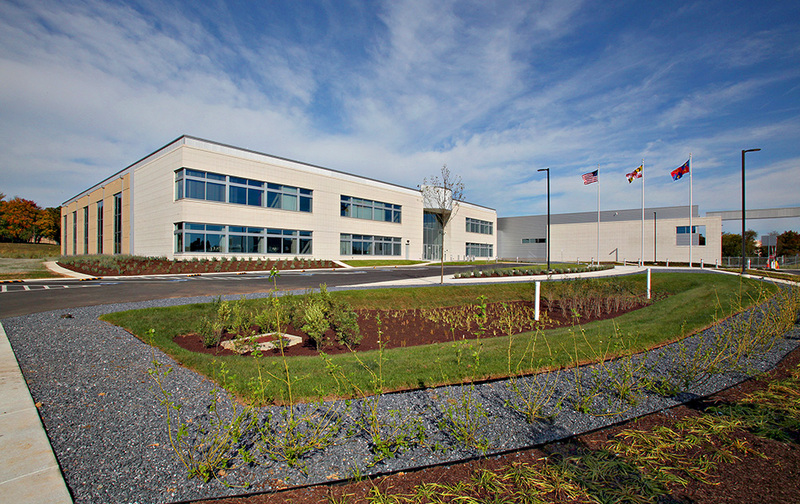 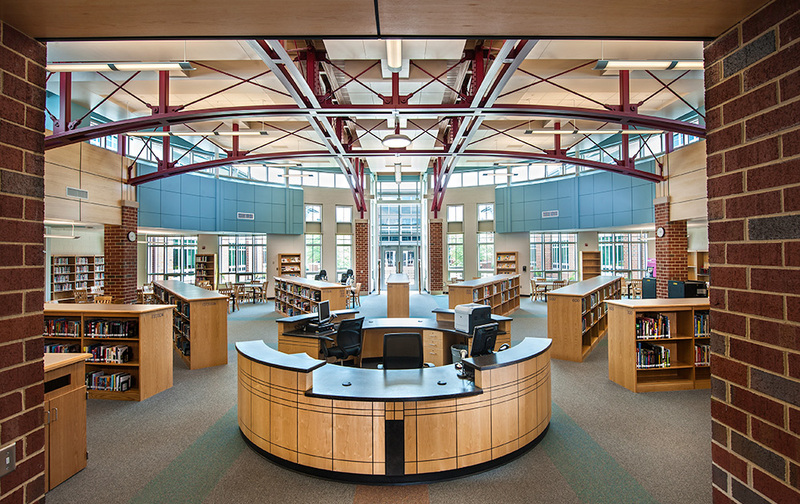 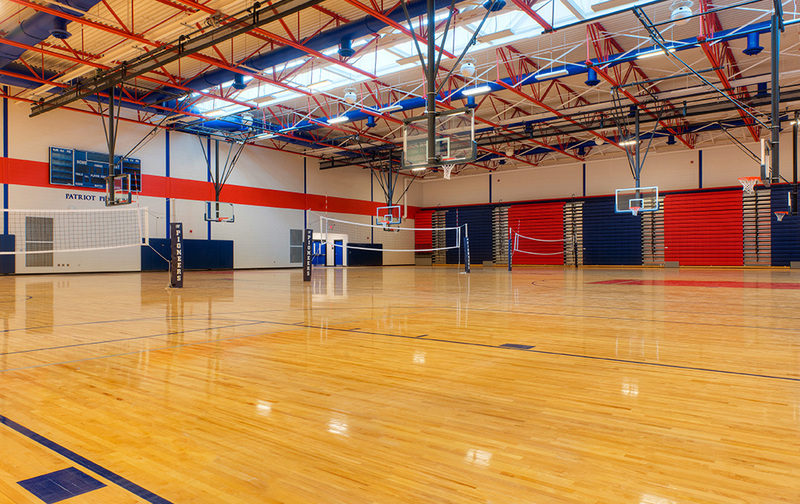 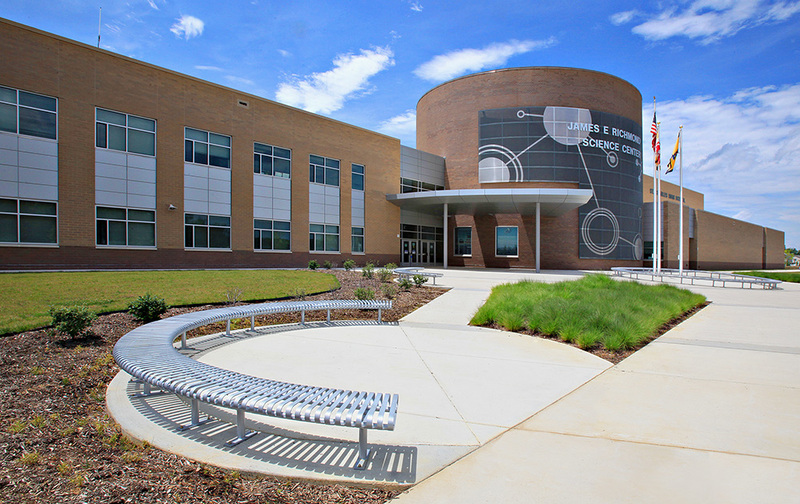 The 11th high school located in Prince William County, Patriot High School accommodates 2,200 students in the 312,000 square-foot facility. 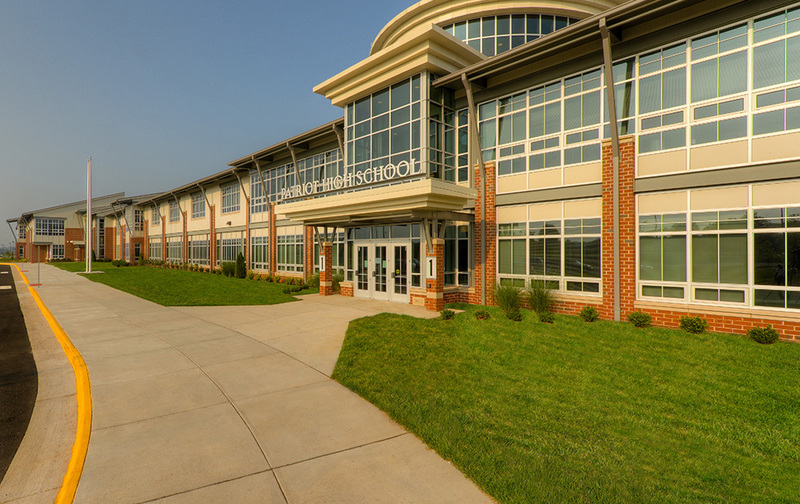 State-of-the-art technology is incorporated into the building and includes a fully functional local area computer network, wireless access, classrooms equipped for interactive white boards, and video and remote computer monitor use within the classroom. 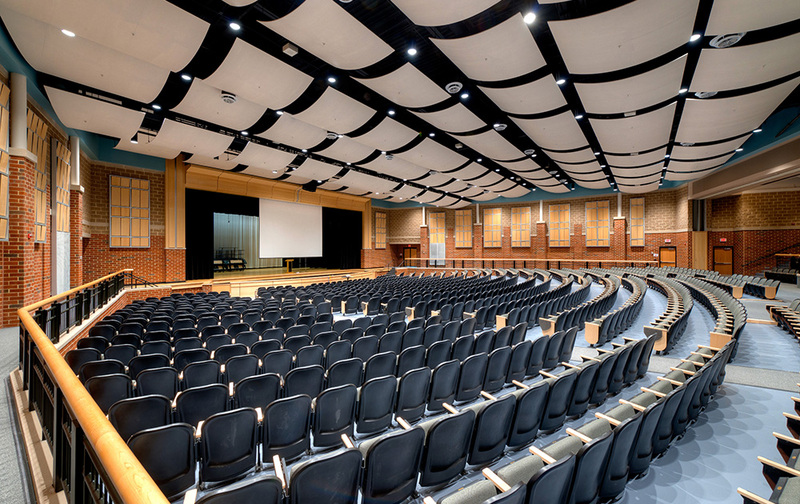 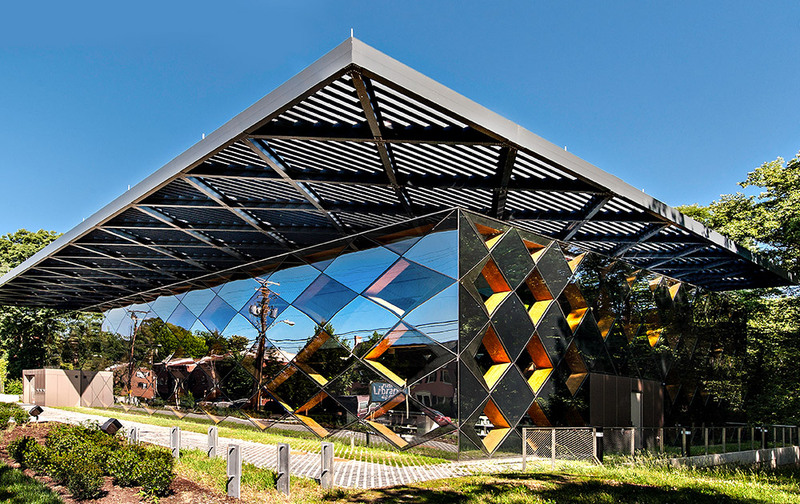 A computerized temperature control system with remote monitoring and reporting offers energy efficiency and cost savings and an integrated security system with multi-function monitoring provides a secure learning environment. 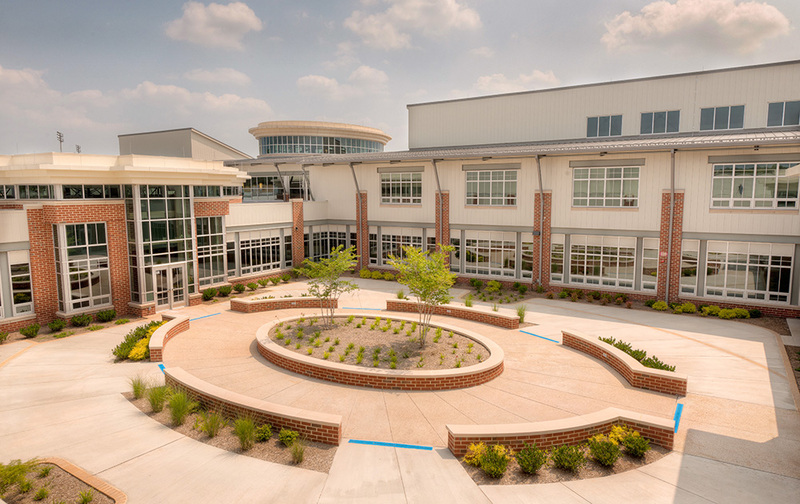 The 94 acre site includes a wet pond for use in environmental science, a football stadium and practice field -both with artificial surface, competition baseball and softball fields, tennis courts, and a dedicated driver education range and tower. 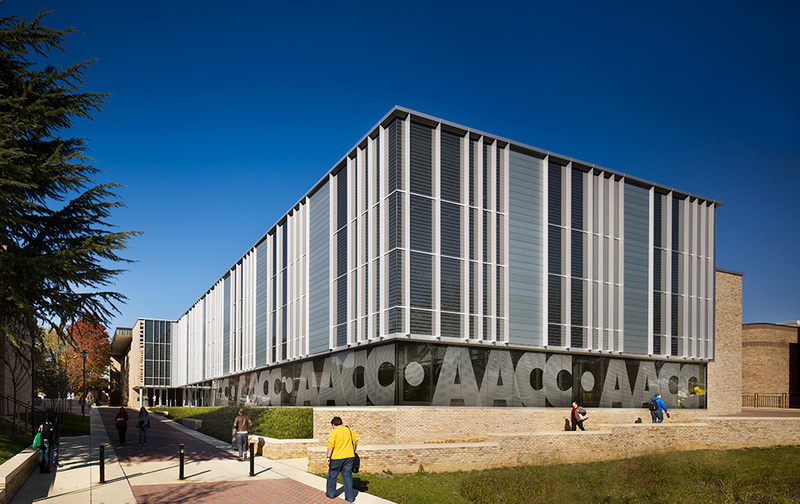 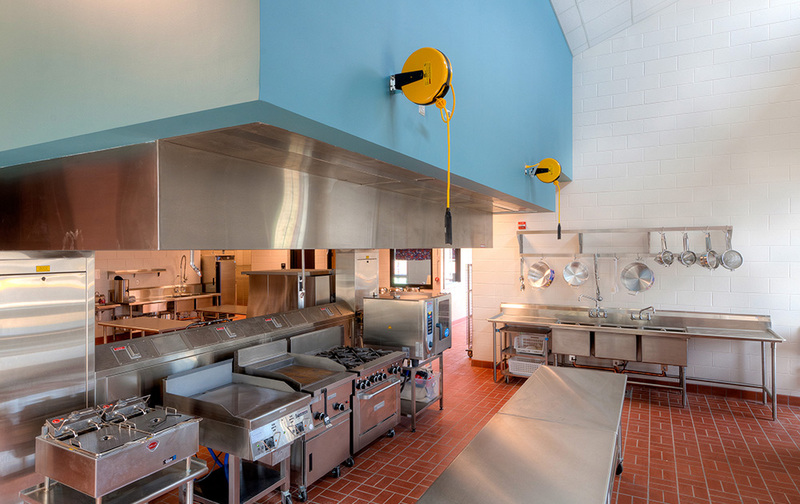 Students also benefit from features such as a dedicated culinary arts area with commercial kitchen, television studio, and complete media center including computer areas for research and instructional use.